Well, he’s back…again. It was a long time coming, and all the hype just made it impossible to live up to. But, for what it’s worth, I did enjoy this movie. Sure, it’s not nearly as good as the other two films. And yeah, it kind of throws the theme of “no fate , but what we make” right out the window…but it’s an entertaining action movie. 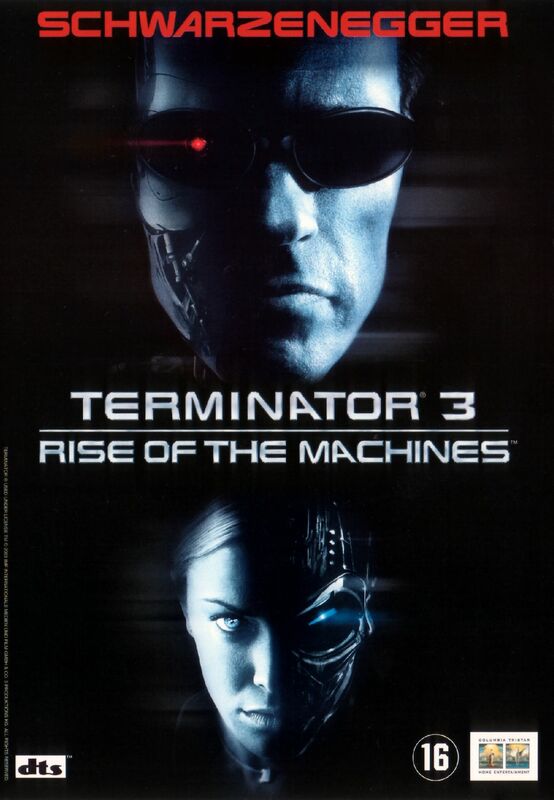 A top notch action and special effects movie, and lets be honest…that’s what we expect from a terminator movie. As great as the special effects and action are there are a few things problematic with this film. 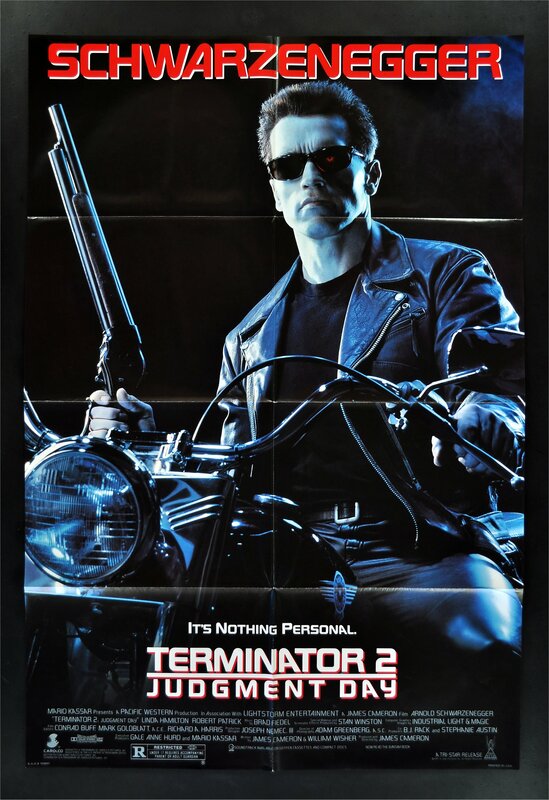 First off, this was the last movie Arnold did before he took office as California’s governor, so it’s a little strange seeing Arnold play the same type of terminator while he looks older. In addition, the story seems to fly in the face of a major theme of the first two films. “No fate but what we make” was a critical part of the motivation in the first two films. Without giving away to much, that idea is pretty much thrown out the window making us all ask the question…why would that message be sent back from the future in the first place? But perhaps I’m over thinking it too much. Movies and TV shows that deal with time travel can get ruined real fast by over thinking them. Back to the future is one such example. The terminator series is a great example of that as well. Another problem I have with the film is how the character of John Connor is portrayed. You would think that, having been raised and trained by such a tuff militarized person like Sarah Connor he would have turned out to be more of a badass. Instead, he seems to be on the run rejecting his “calling” and living more like a whiny little punk. Not exactly the approach I would have gone with, but I guess if he was all big, tuff and ready to take on a terminator he wouldn’t have needed another one sent back in time to protect him. Though not as intimidating and frightening as the T1000 the TX terminator is a solid antagonist in this movie. It’s unique to have a “female” terminator as well. I wasn’t sure how well it would work having Kristanna Loken go head to head with Arnold, but it worked. She played the cold and calculated assassin rather well. I believed she could stand toe to toe with Arnold’s terminator. Overall, this was still a fun flick. It did the Terminator franchise justice and it was interesting how it gave us a tast of what John Connor was like as a man before he stepped up and became the great military leader he was destined to become. I’m giving this one 3.5 stars. Well well well…T2. Still considered one of the best action movies ever created and full of special effects that paved the way for CGI work. It heralds the return of Arnold as “a cybernetic organism” (insert “I’ll be back” joke here) and gives more life to this beloved character. There is very little in T2 that doesn’t work well in telling this story. The dramatic change in Sarah’s personality from the first film makes total sense and works very well. Though, the biggest character change that made this whole film work so well is the terminator. Cameron’s choice to make the iconic villain into the next films hero was a stroke of genius. This gave opportunity to explore many interesting ideas regarding the nature of humanity as well as allow Arnold to add a more personal touch on this robotic assassin/body guard. This brings great opportunity for not only action, but drama and comedy as well. The music is more in line with a traditional motion picture score (no more cheese dated 80s synthesizers detracting from the scene). It takes the musical themes created in the first film and makes it work more long term. It adds to the intensity of the action and ages a lot better. The icing on this action packed cake is the vilain. The T1000 is, hands down, one of my all time favorite villains. The liquid metal concept combined with the ferocious and tenacious attitude of a terminator…brilliant combination. He is more slick, smooth and stealthy when he needs to be with all that power behind him…and that makes him really frightening. In fact, in a lot of ways, he is the opposite of what Arnold’s terminator is. Simply put…he is the perfect villain for this movie. Add all that up and you get one amazing action movie. Terminator 2: Judgment Day gets 5 stars out of 5. Synopsis: A cyborg is sent from the future on a deadly mission. He has to kill Sarah Connor, a young woman whose life will have a great significance in years to come. Sarah has only one protector – Kyle Reese – also sent from the future. 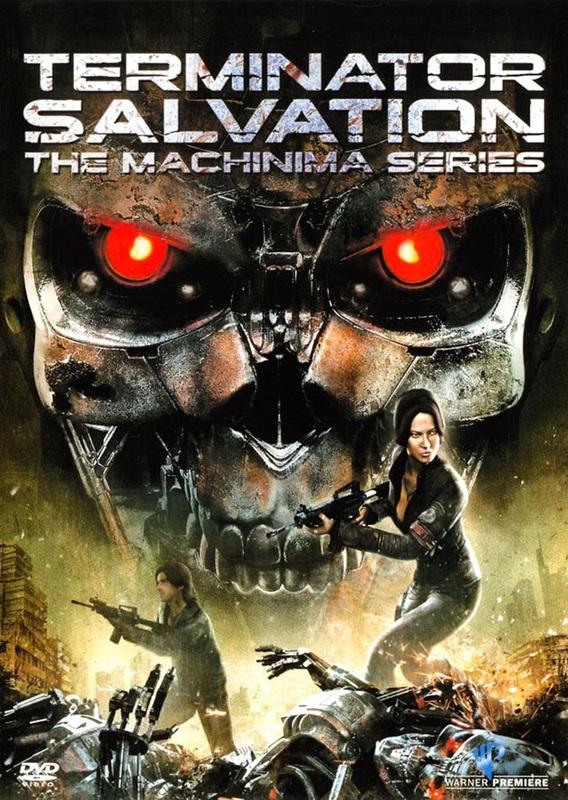 The Terminator uses his exceptional intelligence and strength to find Sarah, but is there any way to stop the seemingly indestructible cyborg? What is there to say about this classic 80s action/si-fi movie? It was groundbreaking for its time. No question about it. Phenomenal job by Arnold Schwarzenegger. The whole idea came from James Cameron’s head…and what an idea it was. This film launched one of the most iconic sci-fi action characters of film history. The special effects world would not be the same today without this film. With all that said, the real question is how does it hold up over time? The first thing you will notice is this movie has the 80s all over it. It’s a real product of its time period and proud of it. The hair, the clothes, the cheesy synthesized soundtrack…everything about it screams the 1980s. If you aren’t a fan of that decade…this film is probably not going to hold up in your mind. The music in particular can become very distracting. I must admit, I even have a hard time with it at some points. Still, there is something very special about this movie. 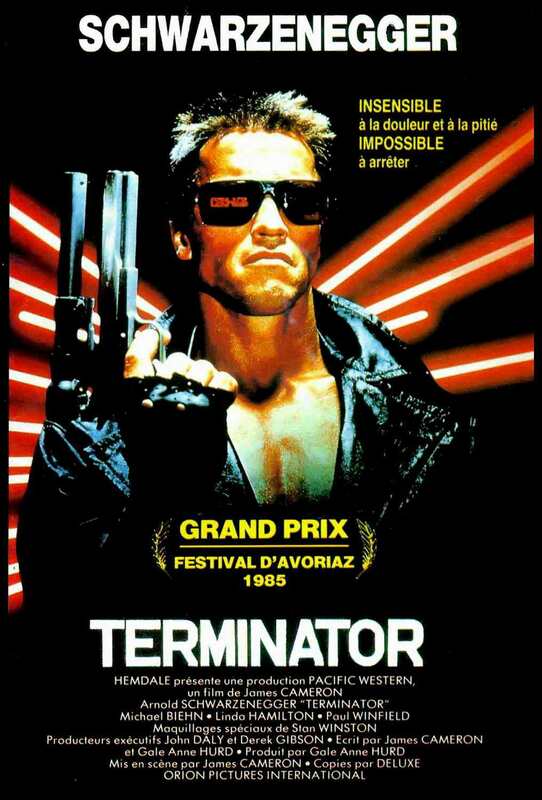 Arnold’s portrayal of The Terminator is iconic and will remain one of (if not THE best) of his career. He really steals the show in this movie and hits all the right notes to convey a machine that is so cold, calculated, menacing and relentless in its pursuit of its target. For better or for worse The Terminator is truly a product of the 80s. Though elements of that decade can become distracting (especially the music) the film still stands as an iconic movie with one of the best characters in action sci-fi history. The Terminator gets 4 stars out of 5. LAPD lieutenant Mike Harrigan and his cocky detective partner Jerry Lambert soon realize that what seemed a bloody feud between voodoo high priest King Willie’s Jamaican gangs and Ramon Vega’s Colombian drug gang is actually the work of a scary third party. Peter Keyes’s federal team shields the crime scene even for the LAPD. BUt after forensics proves it must be an alien, who keeps making victims, the chase brings them all together. 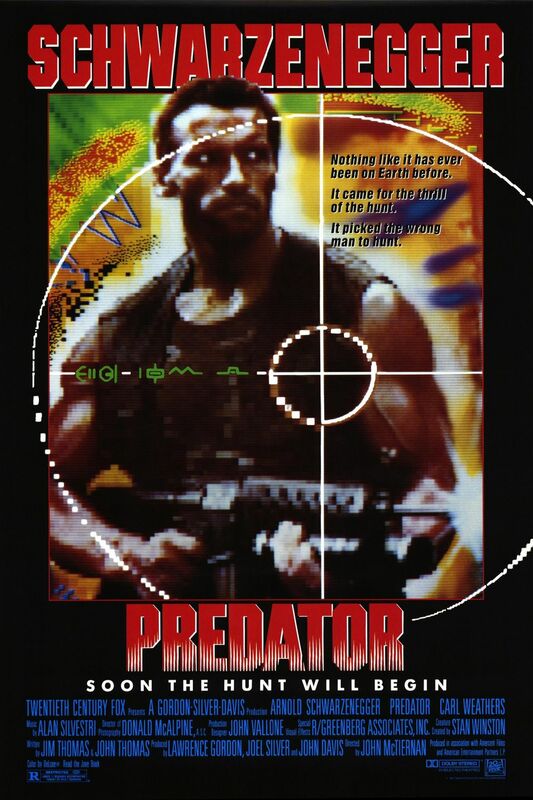 If the first Predator movie were to be a prime cut of the best quality beef money could buy…then Predator 2 would be all the left over ground up chunks of crappy meat, fat and whatever else was lying around in the butcher shop to make a salisbury steak for a frozen TV dinner. Simply put…this one is bad…really…really…bad. Are the special effects great?…absolutely. Does it have big stars?…yes it does. Does it have a good musical score?…once again, yes it does. So what’s wrong with it? Everything else. I’ve always said that (as a general rule) in order to make a great hero you need an amazing villain. Predator 2 is proof that some times the opposite is also true. In this case, they have a great villain, and a very weak and un impressive hero. This does not make me invest in the story. I mean come on…they gave the lead to Danny Glover!?!? He is most certainly NOT a lead action hero! Yeah sure, he’s got the Lethal Weapon series, but he only looks good as an action star along side another GOOD lead action star like Mel Gibson. Glover was not a strong enough action star to carry this film and make it believable that he could go toe to toe with a predator, especially after Arnold barely made it in the last one! To be honest they almost set the bar too high. I mean, how do you top Arnold? The conflict just didn’t seem very strong after facing off against Arnold and, to be quite honest, Glover was not very believable as a cop with an attitude and balls of steal. And don’t get me started on the script/story. It’s total crap. I mean, a Predator in the “urban jungle” sounds like a good idea on the surface and many of the new toys they gave the predator were really cool, but they just couldn’t come up with a story and dialog that really pulls it all together. It all seems far too forced and over the top. You can tell they are trying too hard to top the first one, and it gets too bogged down with all the gang war stuff and then the gangs vs cops and then for some reason its really hot. Not sure why it matters…but it is. Really the only take away from this is the predator special effects. Again, it’s some of Stan Winston’s best stuff. It’s just too bad it was squandered by a tiresome story and characters you could care less about. Predator 2 gets 1.5 stars out of 5. A team of special force ops, led by a tough but fair soldier, Major “Dutch” Schaefer, are ordered in to assist CIA man, George Dillon, on a rescue mission for potential survivors of a Helicopter downed over remote South American jungle. Not long after they land, Dutch and his team discover that they have been sent in under false pretenses. This deception turns out to be the least of their worries though, when they find themselves being methodically hunted by something not of this world. Arguably one of Arnold Schwarzenegger’s best films! The thing that makes Predator work so well is that it starts out as a typical brainless 80’s military action hero shoot-em-up pow pow kind of movie. Find a thin excuse of a plot to motivate big military guys to go shoot guns and blow stuff up. But then the second act hits…and this typical pointless shoot em up action flick takes a decidedly different turn into the world of the Sci-Fi, and it’s for the better. The most brilliant move of this movie is the casting of Arnold as the lead. As an audience we are so used to seeing him as a fearless action star taking on the bad guys without much fear or regard for his own safety. Seeing him play his typical tough guy military character but actually afraid and running for his life as HE is hunted (while trying to learn about, and how to defeat, this very different and intelligent enemy) is a nice twist. It makes for a much more intense and eerie feeling through much of the film as we see the Predator plotting his next move. While the special effects are a little dated, they still pull it off rather well. This is a fantastic example of some of Stan Winston’s best work as Hollywood’s special effects gooroo! Seriously, any top notch special effects movie from the 80s and 90s is almost guaranteed to have his influence. Overall, this is one of the best action movies of the 1980s and in my top three best Arnold Schwarzenegger films of all time. If you are an action movie fan and have not seen this film…well then you probably aren’t as much of an action movie fan as you would like to believe, because I can’t think of a single action movie or Arnold Schwarzenegger fan that hasn’t seen this film. If you want to call yourself an action movie/Schwarzenegger fan then you MUST see this movie. For being one of the best blends of action and sci-fi Predator gets 5 stars out of 5. 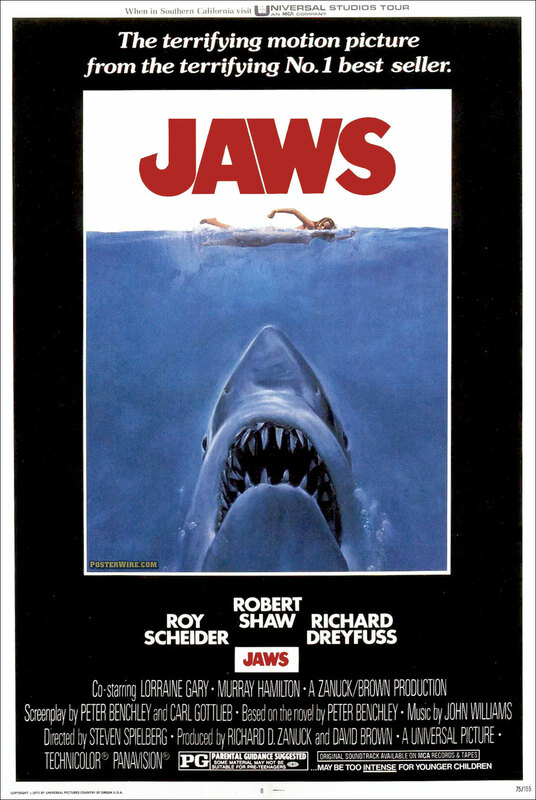 Considered one of the best movies ever made, Jaws is by far in my top ten favorite movies of all time. Seeing as it’s “Shark Week” I felt it was only appropriate for me to review this Spielberg classic. Does this mean I plan to review the three atrocious sequels? Absolutely not. I don’t own them (see the rules in my “About The Goulson Movie Marathon” page) and I couldn’t understand why anyone would ever want to have them as part of their movie collection. So, why does this movie work so well? Could it be because of the perfect cast?…yes. Is possible that the stellar job by director Steven Spielberg might have had something to do with it?… absolutely. Could it have been the good old fashioned true Hollywood special effects all blockbusters to follow were birthed from?…without a doubt. All of these things contributed to the success of the first ever Hollywood “blockbuster,” but the key element that truly makes this movie work so well is the music. John, William’s theme that has haunted every person who has gone swimming in the ocean since 1975 takes this move from good suspenseful creature movie to totally spellbinding creature horror movie. The music creeps in and you know Jaws is in the neighborhood. It’s so eerie…I love it. The best part of this movie is that you don’t even need to see the shark through much of the movie to still get the idea. Much of the back story as to why the physical shark isn’t in the movie more is because it quite simply wasn’t working. A true blessing in disguise as the techniques they were forced to use ended up working beautifully and making the film an instant classic. Jaws gets 5 stars out of 5! Happy shark week!! !